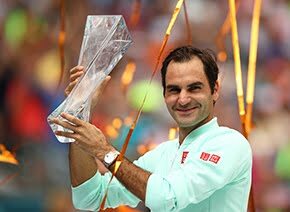 Roger Federer won his 85th ATP World Tour title at the inaugural TEB BNP Paribas Istanbul Open, beating third seed Pablo Cuevas 6-3, 7-6(11). The World No. 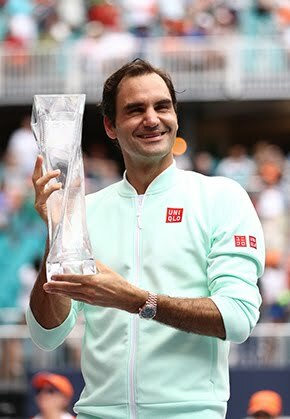 2 improved to 85-43 in tour-level finals and added to his two other titles already this season (also Brisbane, Dubai). With the win, Turkey became the 19th different country in which Federer has won an ATP World Tour title. In the eventual second set tie-break, Federer saved three set points and needed five match points to finally seal the victory in one hour and 36 minutes. Cuevas was attempting to capture his second ATP World Tour title of the season, having won the crown in Sao Paulo in February. "It is an amazing week for me playing the final with the best in the world. It's difficult to face Roger, not only because of his game but also to stay focused on the game and not get distracted," said Cuevas. "It was a very good experience for me, and I think it will help me in the future." As winner, Federer took home 80,000 Euros and 250 ATP Rankings points. Cuevas earned 42,100 Euros and 150 ATP Rankings points.